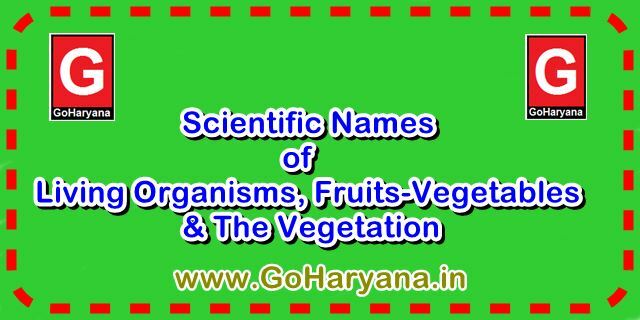 Scientific Names of Living Organisms, Fruits-Vegetables, The Vegetation Notes PDF: Today, I am going to share a useful PDF of "Scientific Names of Living Organisms, Fruits-Vegetables, The Vegetation Notes". It is the most important topic for SSC, Banking, Railway, Defence and All PCS Exams. 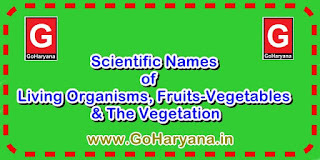 One question of this type is normally asked in the all competitive Exams. My Name is Ravi karmal. This is my first post on this Blog.This file boost up your preparation of CGL, PCS and all other competitive exams.